Steed visits his friend Freddy Mason (Allen Weston), inviting him out for a drink but it's payday for the Ministry's informers, and Freddy the paymaster. Steed passes a nervous informer on his way out - the man gives Freddy a package and is paid, cutting his thumb on a bank note. He leaves, and removes	his false beard and climbs into the back of a truck full of wigs and costumes. McBain (Maurice O'Connell) enters Freddy's office, looking for their boss, Wallace - who always disappears on paydays. Freddy shoos him away and the next informer enters, a stern looking woman. 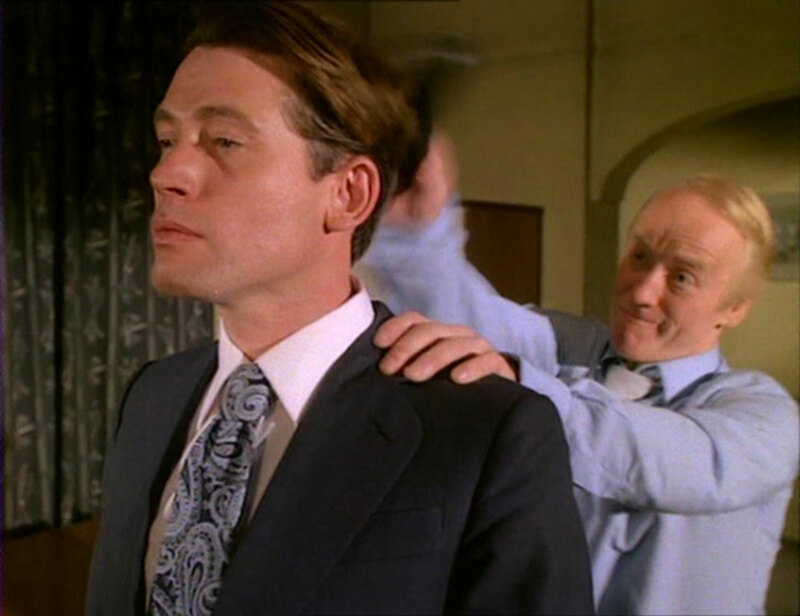 Freddy notices an identical cut on the thumb - he gives chase and removing the disguise unveils his boss, Wallace (John Finch). They fight and Freddy falls to his death from a bridge. 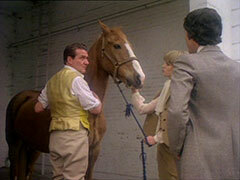 Steed and Purdey investigate but Wallace tries to fob them off. Wallace sets an assassin, Richards (Jeremy Wilkin), up in a cheap apartment and tells him to kill Steed. Wallace hears McBain tell Gambit that Steed was Freddy's only unusual visitor the day he died, and concocts a plan to frame Steed for the murder. 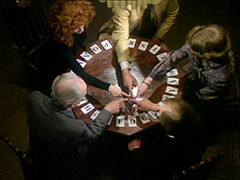 Meanwhile, a false medium , Victoria Stanton (Sue Holderness), conducts a séance for a gullible audience of an elderly lady called Marion (Diana Churchill) and her elderly beau, Mr Turner, (Mervyn Johns), a widow, a serious young man (Steve Ubels) and a giggling girl, Miss Townsend (Celia Foxe). Afterwards, Victoria has a glass of Guinness while Wallace and Richards experiment whether they could kill Steed and make it seem suicide; Wallace assures Richards no-one can find out their plan - but Victoria awakes from her beery slumber with a premonition of the death of 'someone called John Steed'. She goes to warn Steed and is met with scepticism, but her predictions of a message from afar, Steed's attendance at the Russian ballet and his car being immobilised all come true - a call from Moscow, then Richards lets Steed's tyres down. Gambit gives him a lift, and Purdey departs also . Steed's 'phone call from Moscow, however, has raises the suspicion of McBain, just as Wallace planned. Wallace asks Steed to contact Ivan Petrovich, one of the informers, at the ballet! 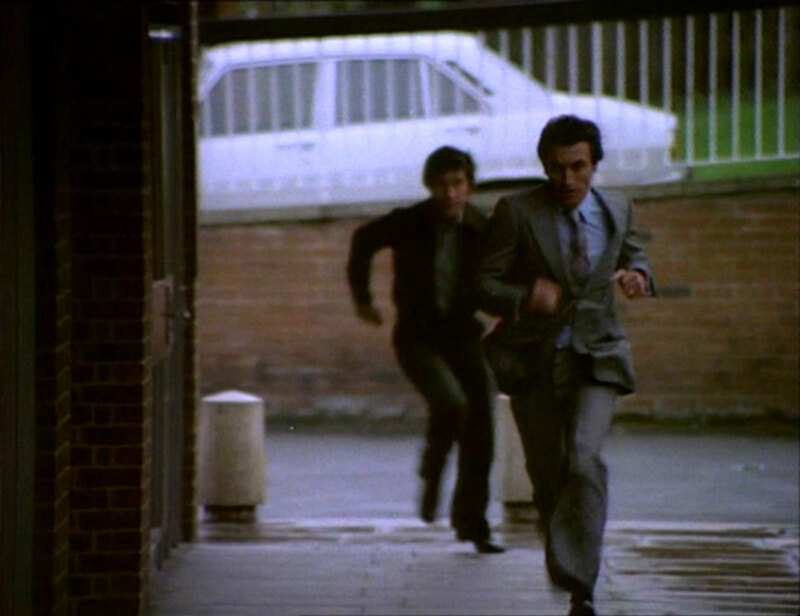 Richards reinflates Steed's tyres and drives his car to the Bulgarian Embassy, where it's discovered by McBain. At the ballet, Steed receives a message to meet George Cowley at dawn - and Victoria, dreaming in her flat, recites the note as he reads it. Steed arrives to meet George just as Richards hurls him from an upper level and, crouching over Cowley's body, is discovered by McBain. Steed says he received a note, but finding a similar one on the body, McBain doesn't believe him. Back at Steed's mansion, Purdey is discomfited to discover Victoria's predictions of "death at the complex" and a broken green box - Steed's security box - have both come to pass. Wallace is elated that their plan is going so well, while Gambit has Victoria's ESP tested by Roberts (Neil Hallett) - 105, "terrible, not even below average". McBain wants to arrest Steed but Wallace defends him. Derek Wigmore - a top Ministry auditor - turns up, and Wallace calls Richards for another hit then greets Wigmore a cheerily. Across town, Victoria's table spells out "Steed will die" and she cancels the rest of the night's séance, Gambit lingering to question her, but she predicts Wigmore's death - at Steed's hand - just as Wallace outlines the scheme to Richards. McBain urges Purdey to help him arrest Steed and she angrily insists they see him. They arrive just after Victoria tells Steed her latest premonition and he recognises Wigmore from the description. 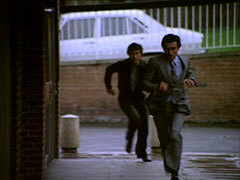 He rushes to Wigmore's hotel, pursued by Gambit, Purdey and McBain, but Richards has arrived first and shot Wigmore. Steed arrives and the dying Wigmore tells him "it doesn't balance" then Richards knocks Steed out and plants the pistol in his hand. 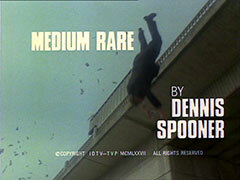 Steed comes to just before they catch up to him, and is arrested by McBain. Steed is suspended, and they turn to Victoria to find out the truth, but she can't 'hear' anything until Gambit takes her home and puts her in her chaise lounge. She predicts	an overnight deposit into Steed's account. Gambit intercepts the payment but the courier, Parr, is run over by a car. Gambit finds an address in his coat pocket. Victoria wakes having heard the suicide plan and warn Purdey Steed's Colt 45 has been stolen in order to kill him. Steed breaks into the Ministry and leaves with the accounts just before McBain and Wallace arrive. Gambit meanwhile arrives at the address and, hearing Victoria and Purdey talking downstairs works out her 'predictions' were simply voices travelling down the gas pipes - Victoria is crestfallen. 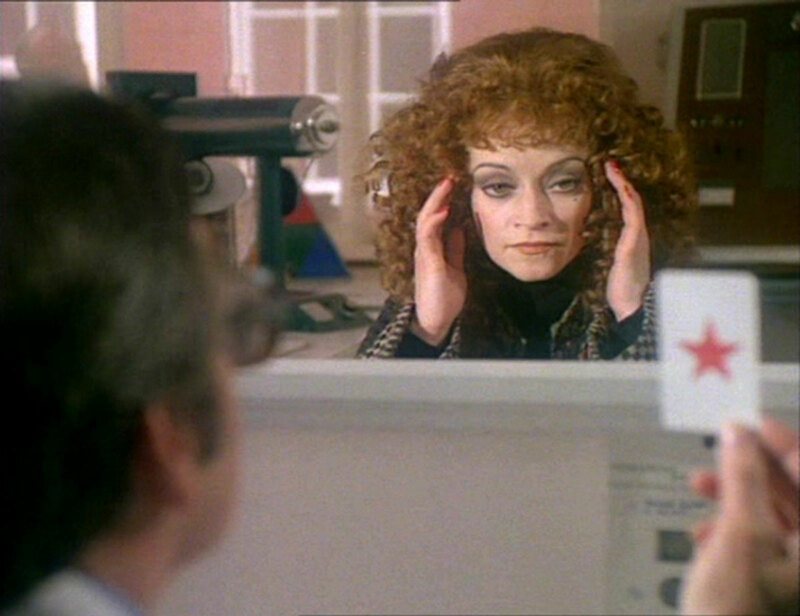 Richards enters but a mirror on Steed's desk gives him away and he's vanquished just before Gambit arrives. Next day, Steed says McBain has been very apologetic and Wallace has confessed to everything. Gambit asks what will become of Wallace and they all turn to Victoria, who says, "Don't look at me, how would I know?"